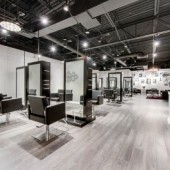 Hundreds of satisfied customers are loyal to the salon. Read the excellent reviews on Google, Yelp, and Facebook. Call (281) 881-1112 to schedule your appointment and discover your inner beauty.